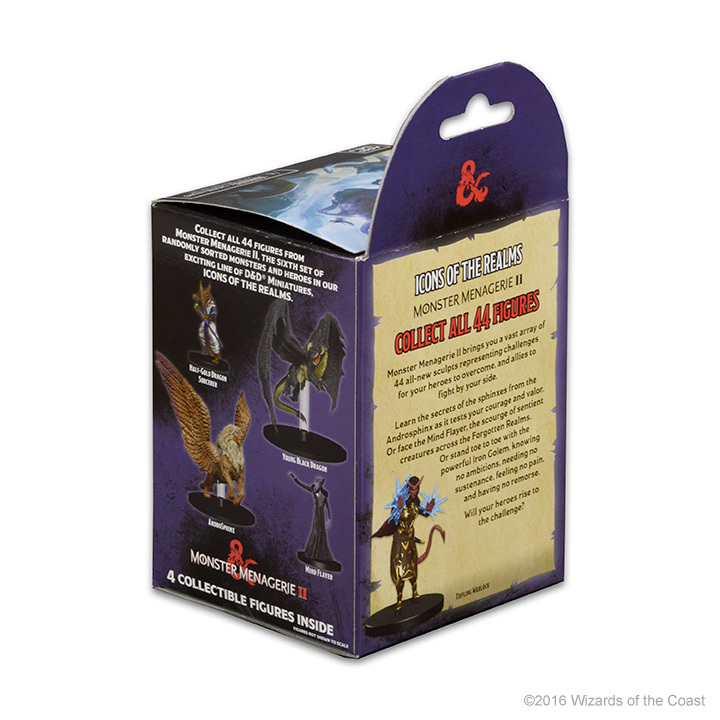 Monster Menagerie II brings you a vast array of all-new sculpts representing challenges for your heroes to overcome, and allies to fight by your side. 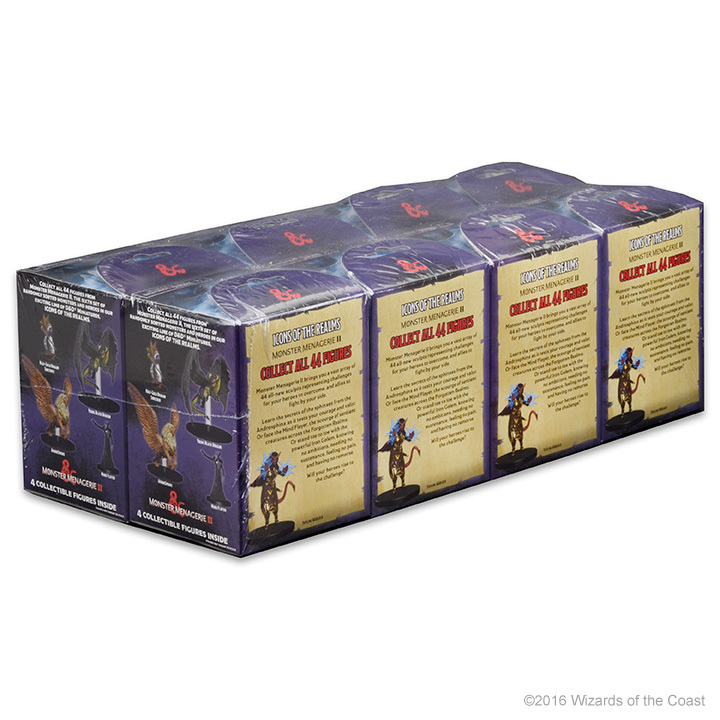 Learn the secrets of the sphinxes from the Androsphinx as it tests your courage and valor. 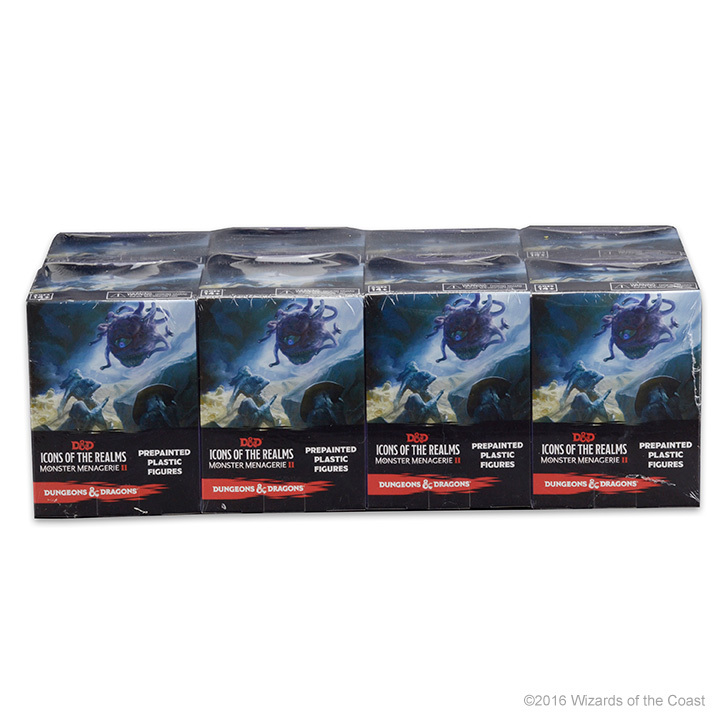 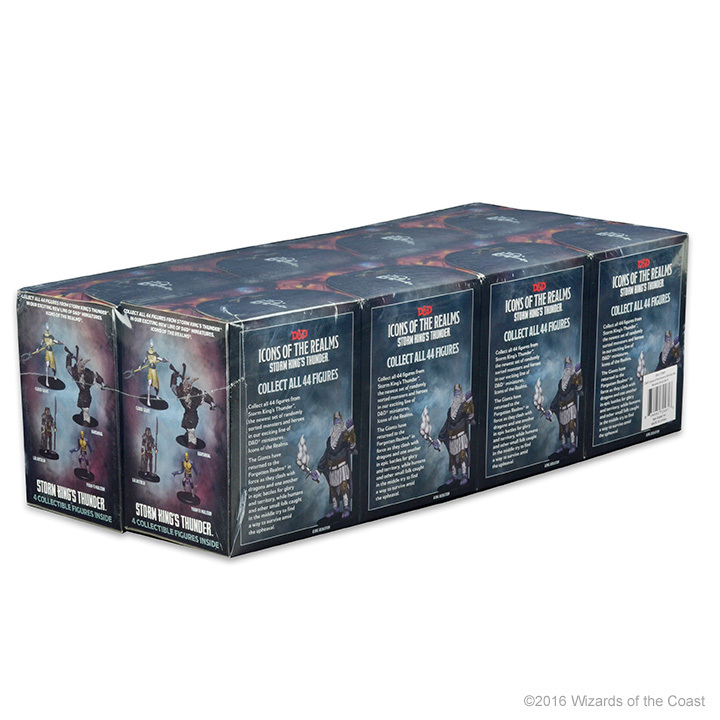 Or face the Mind Flayer, the scourge of sentient creatures across the Forgotten Realms. 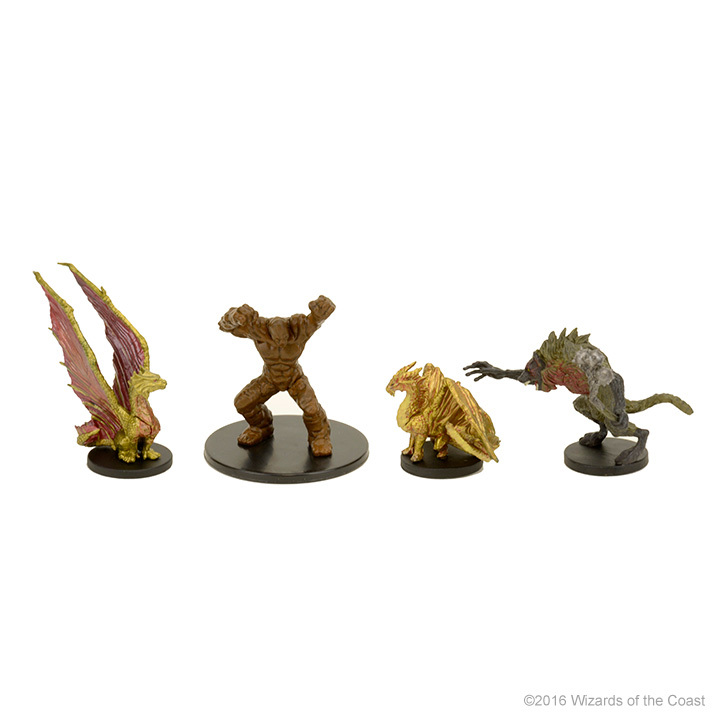 Or stand toe to toe with the powerful Iron Golem, knowing no ambitions, needing no sustenance, feeling no pain, and having no remorse. 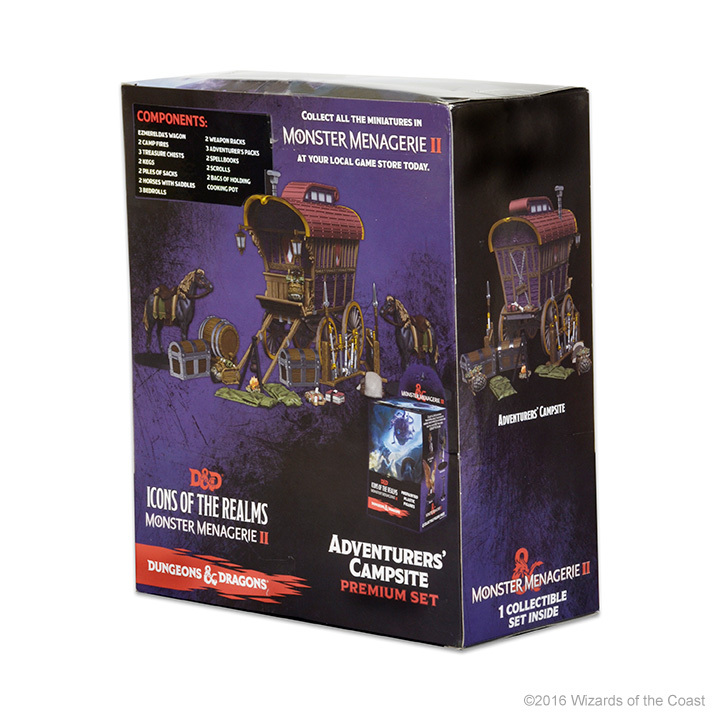 Note: Customers who pre-order a D&D Icons of the Realms: Monster Menagerie 2 Standard Booster Case will have the opportunity to purchase the Case Incentive promotional set (Adventurer’s Camp, while supplies last). 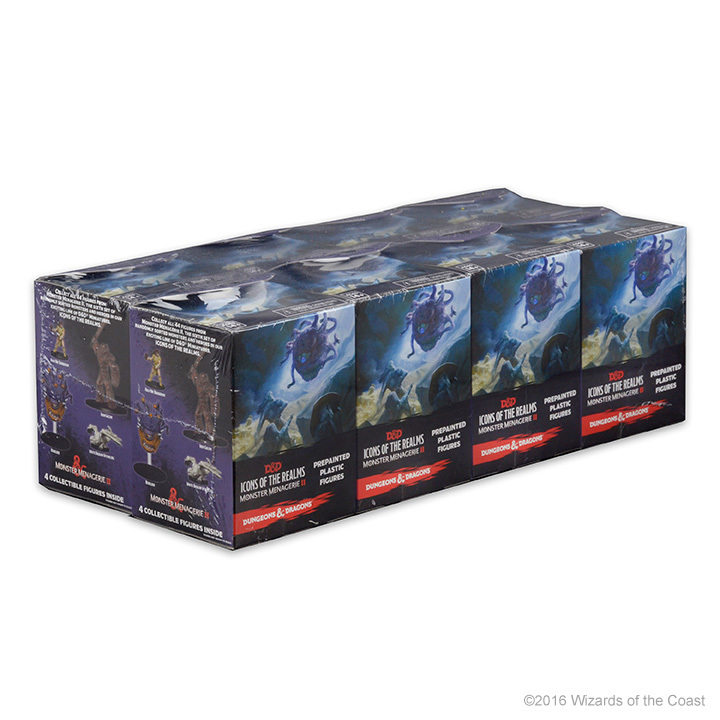 This offer will be limited to one Case Incentive promotional set per case purchased, while supplies last. 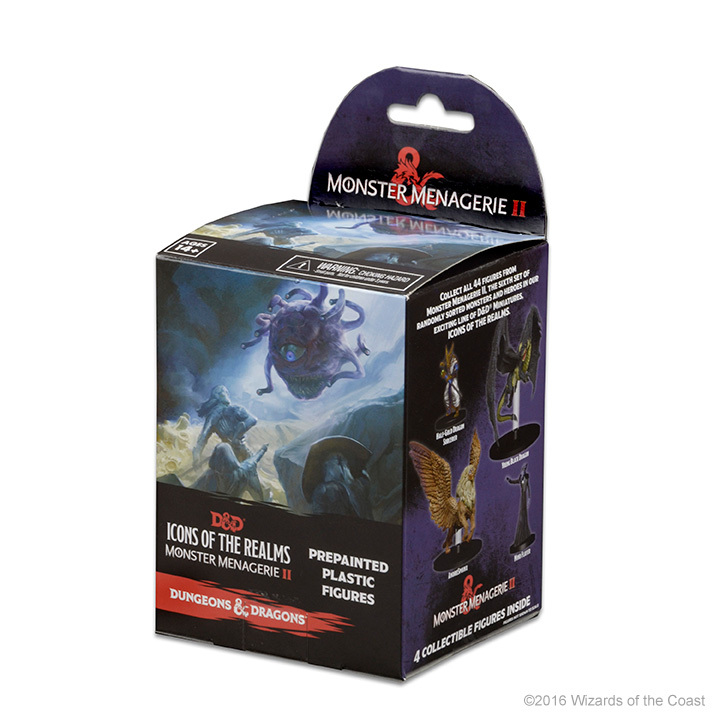 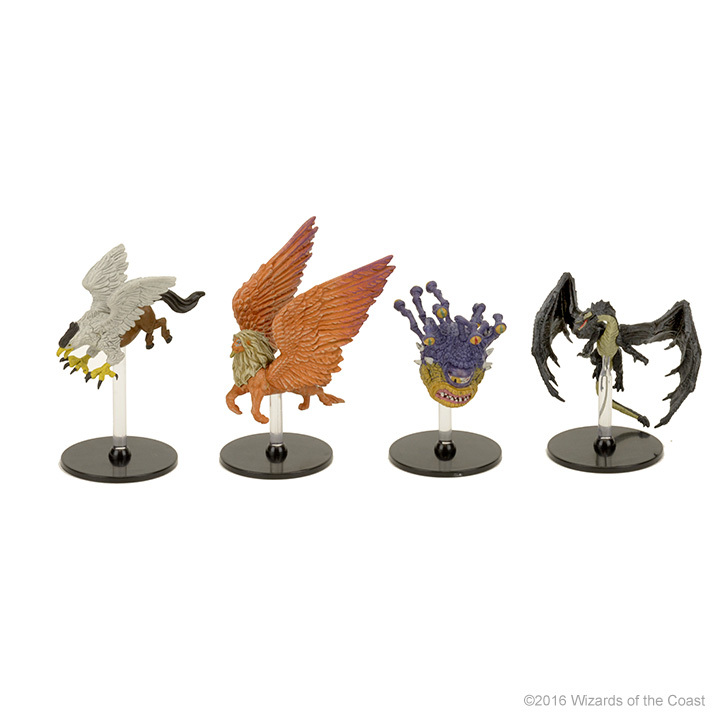 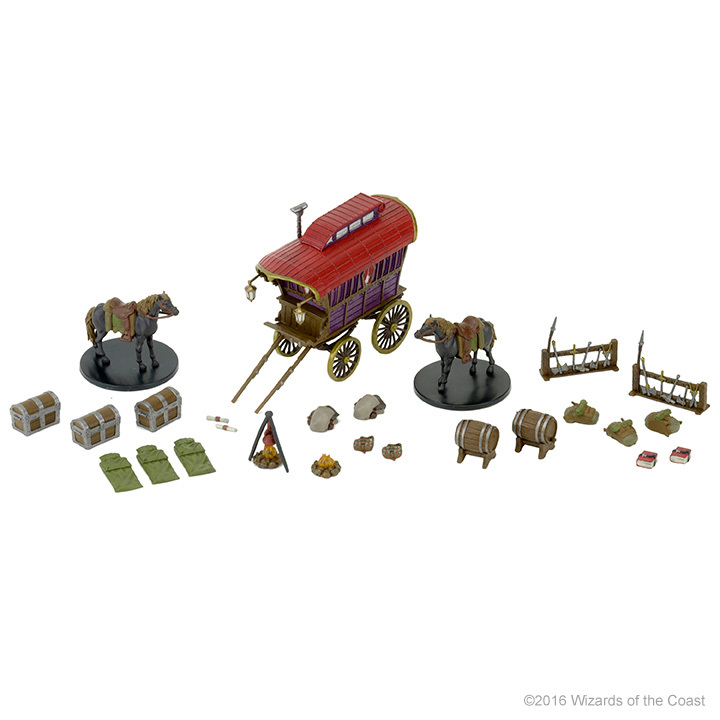 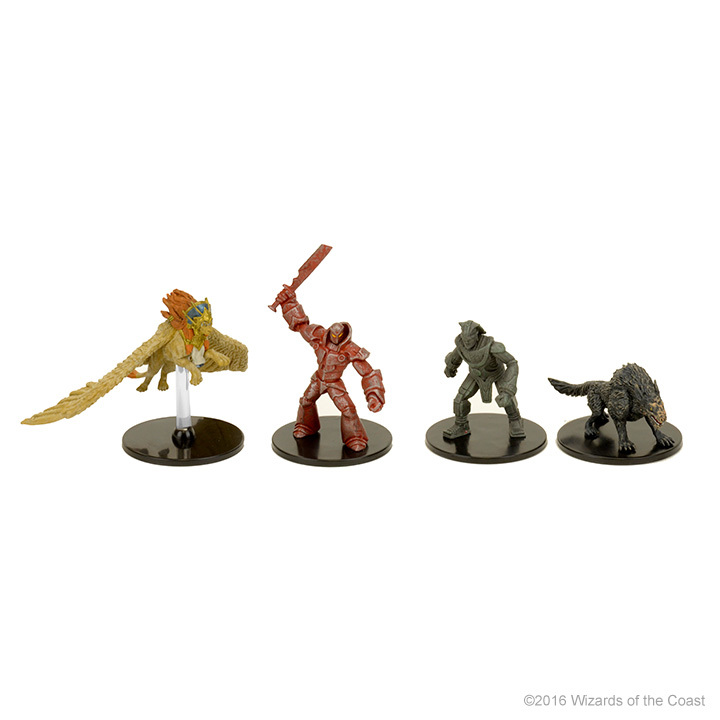 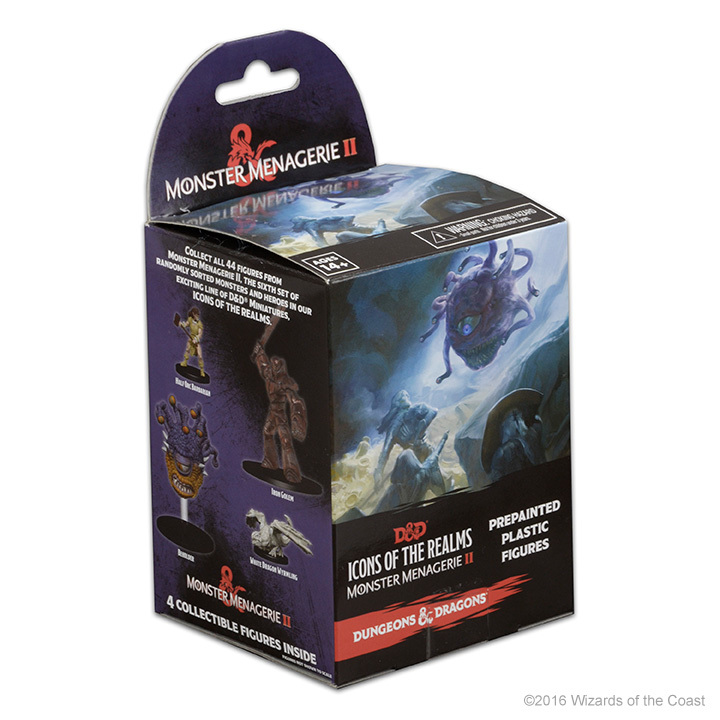 This fantastic pre-painted promotional set contains a variety of pieces to bring your adventure to life along with all the miniatures in D&D Icons of the Realms: Monster Menagerie 2. 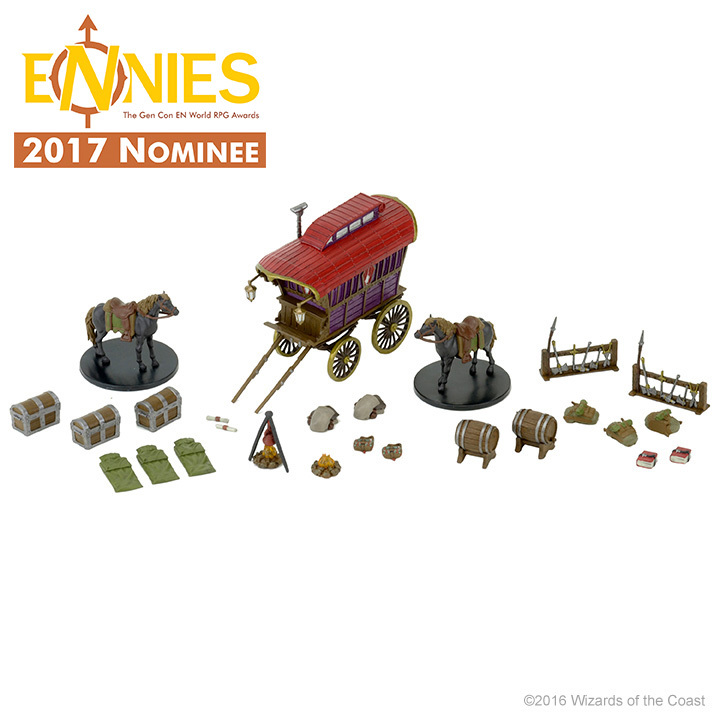 The perfect setting for your next adventure and a beautiful display piece as well! 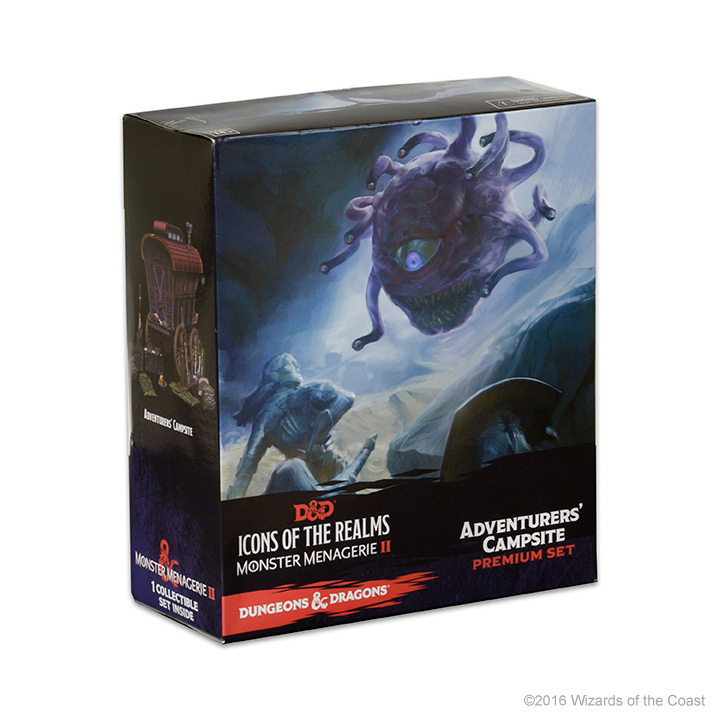 Check with your friendly local gaming store to see if they have one on hand. 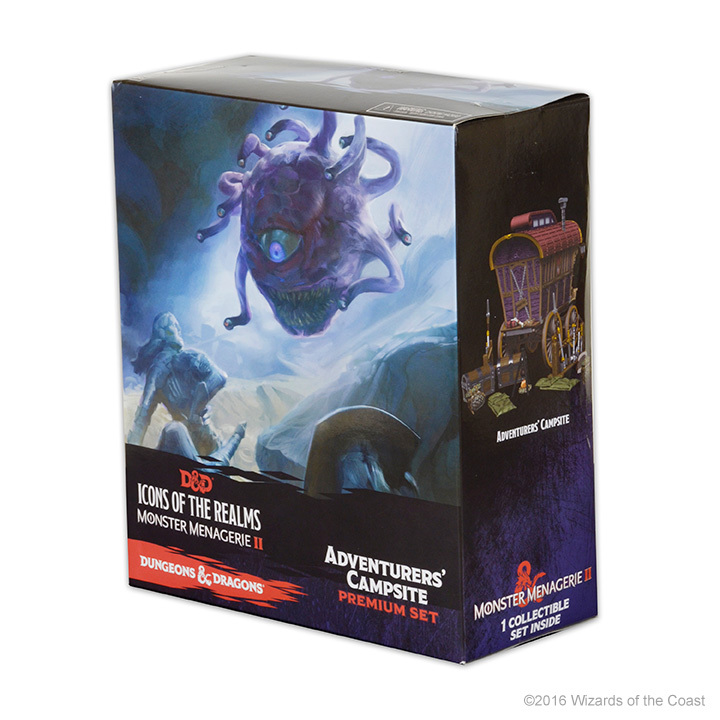 © 2016 Wizards of the Coast LLC All Rights Reserved. 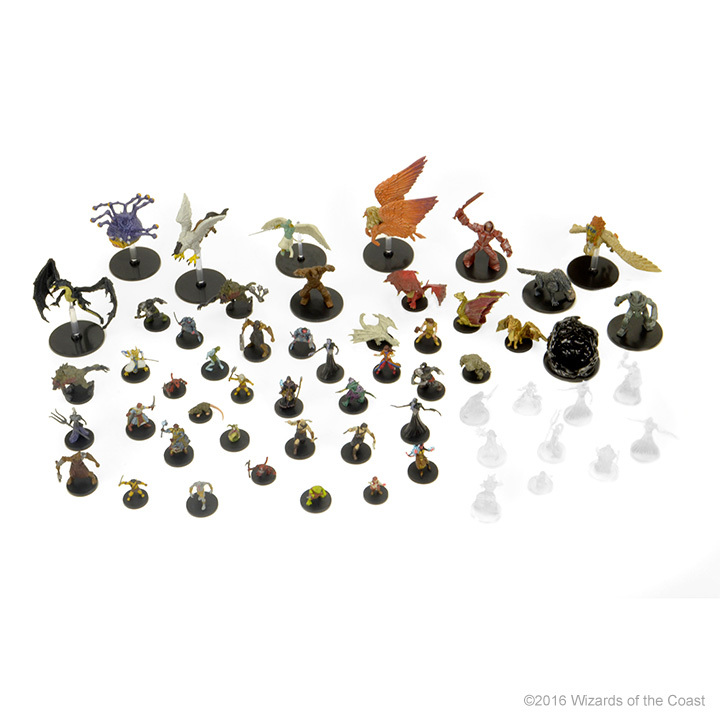 Dungeons & Dragons, D&D, Wizards of the Coast, Monster Menagerie, Forgotten Realms, and their respective logos are trademarks of Wizards of the Coast LLC in the U.S.A. and other countries, and are used with permission.